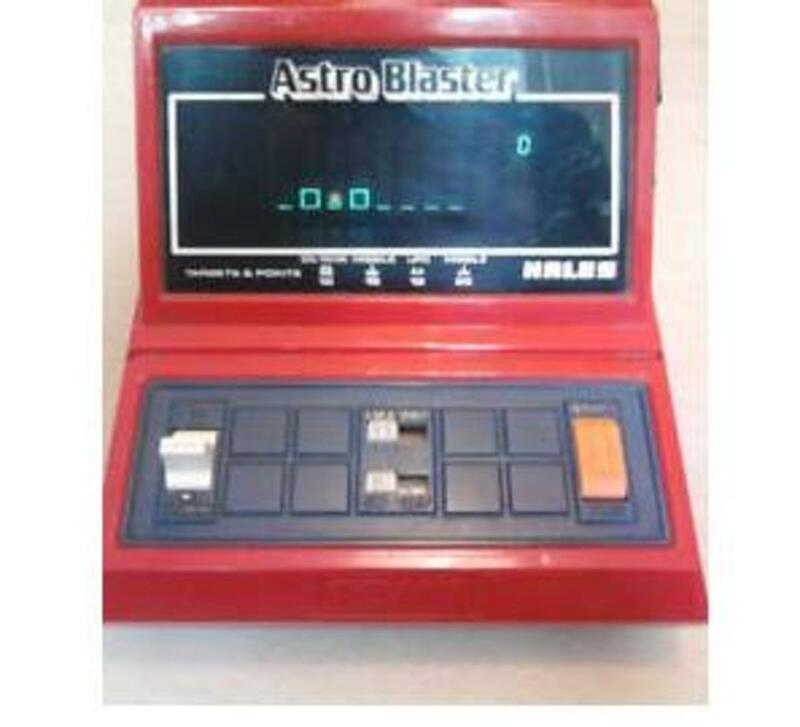 Astro Blaster was a table top arcade game released by Hales (and Tomy - I'm not sure what the difference was) in the early 1980s. Table top games such as this, Astro Wars, 3D Sky Attack, 3D Thundering Turbo, Caveman, many pacman game clones and many more were very popular until around 1984. I was given one of these for Christmas back in 1982 - which I think is the year that this table top game was released. Put it this way - I was still playing it come the summer of '83! This game was basically a clone of the classic arcade game Scramble by Konami, one of the most famous right to left scrolling shoot em ups of all time. It had the usual two skill levels (Professional and Amatuer - 'Pro' and 'Am' that table-top games were known for) to play with, and you were treated to a rousing fanfare of music when the game began. The display was nicely coloured with vibrant cyan's, reds and oranges (the colourful space-ships, bullets and enemy installations scrolled past the black background) and I think it used vacuum fluorescent technology to make those alien ships whizz by. This vibrant colour scheme made playing the game in a dark room really exciting as those little graphics took on an almost Tron like luminescence! Just like the arcade game you could shoot horizontaly and drop bombs downwards to take out surface based enemy rockets and fuel dumps. Again just like in the game Scramble fuel dumps had to be destroyed to keep your fuel level up, although how blowing up fuel kept your tanks filled is anyones guess! Maze run with enemy ships and fuel dumps to destroy. 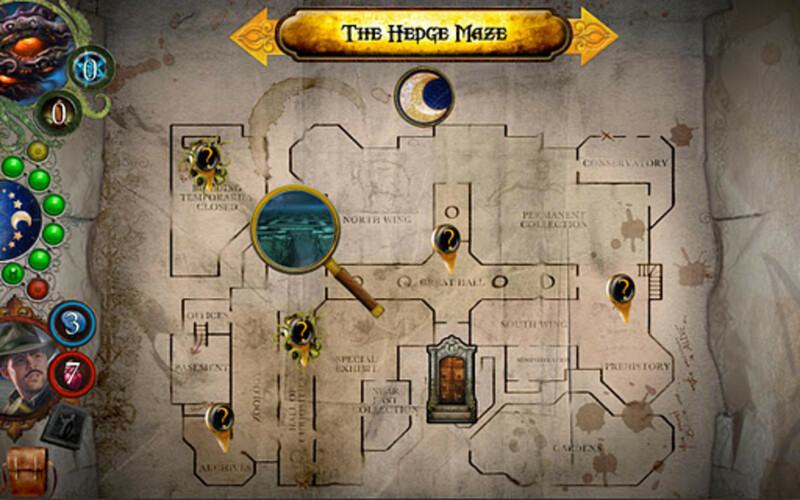 This section required some careful and fancy flying to avoid crashing into the maze walls and to also ensure your fuel levels did not drop to empty. 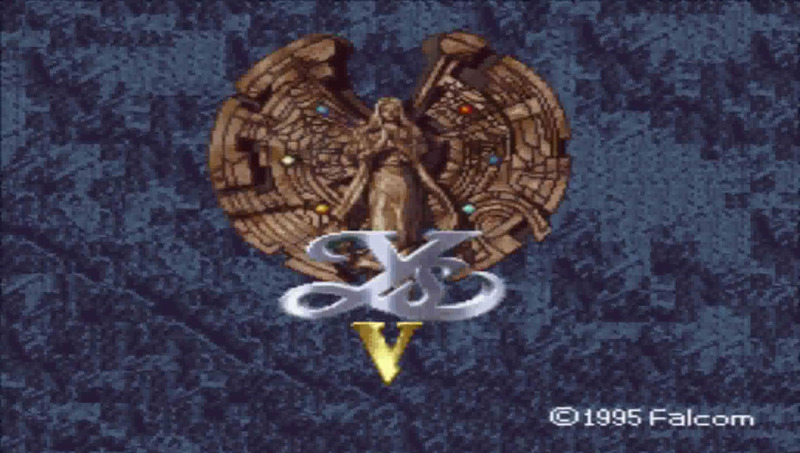 Once you had destroyed the mothership the game cycled back to the beginning for you to test your skill again. Despite the simplicity and repetitive nature of the game I spent hours, nay months of fun at the controls of Astro Blaster! The version I had was released by Hales and was encased in the classic red and blue plastic housing. There were also a number of other versions of this game by those giants in the table-top gaming market, TOMY. 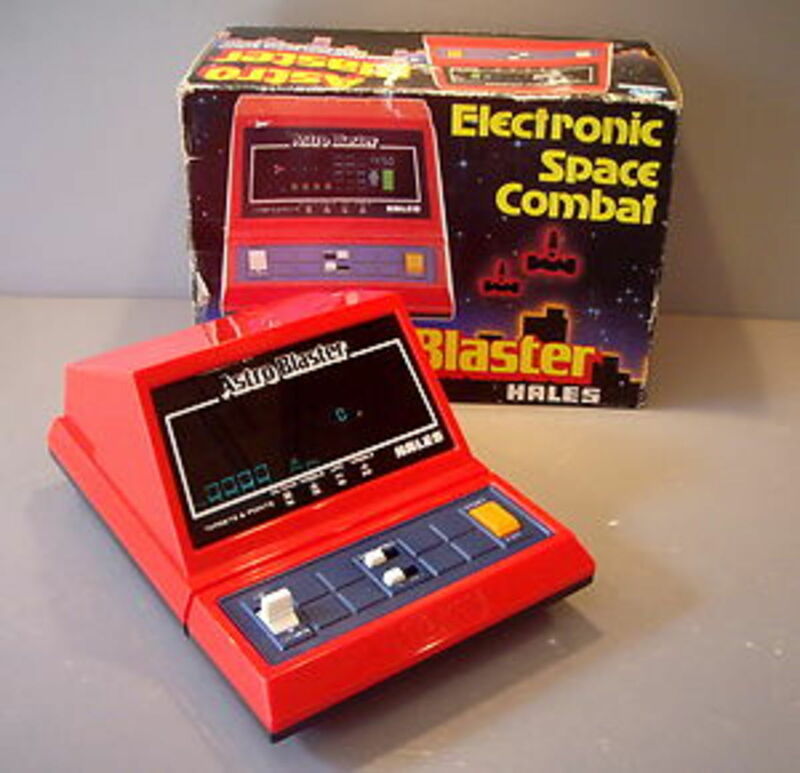 In some cases it was still called 'Astro Blaster', another version was called 'TomyTronic Scramble', and in yet another version was named 'Alien Attack'. 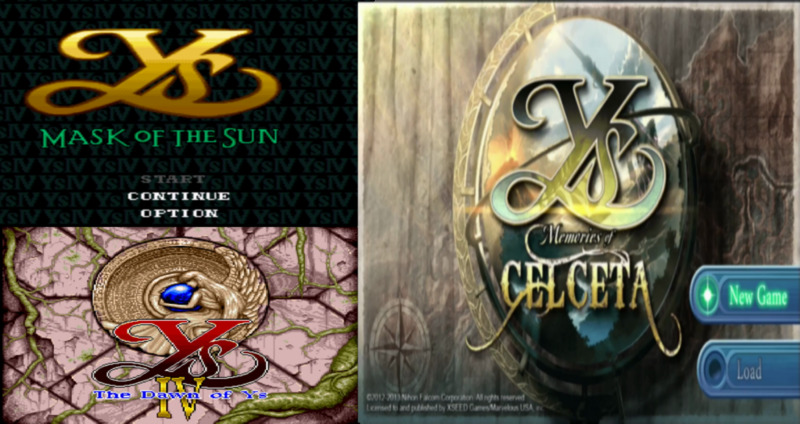 Aside from the differences in the outer casing, game name, colour scheme and a slight variation in controls, the game-play in the different versions remained absolutely identical. 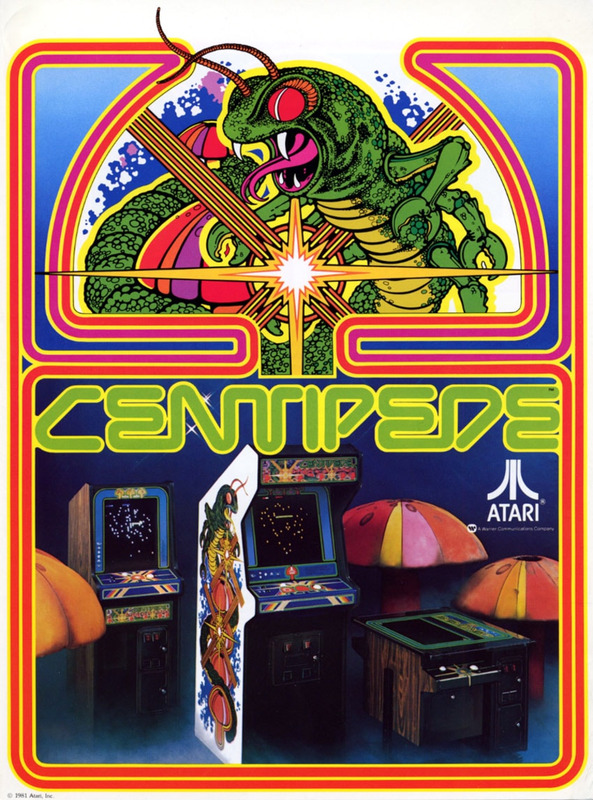 For me, whatever version you may have had, this game represents a classic title in table-top arcade gaming. As far as Scramble clones go for the home gamer, this was probably about the best version you could lay your hands on in 1982. These table top games were very popular in the early 1980s until the 8-bit home computers really took over. Computers were bought for many children as something to 'help with the homework' and as an educational tool. Little did many of these parents realise that these computers were also becoming a totally viable and superb platform for gaming. Every genre was being covered by the 8-bit revolution and the most popular games from the amusement arcade were being coverted to pretty much every popular home computer at the time. 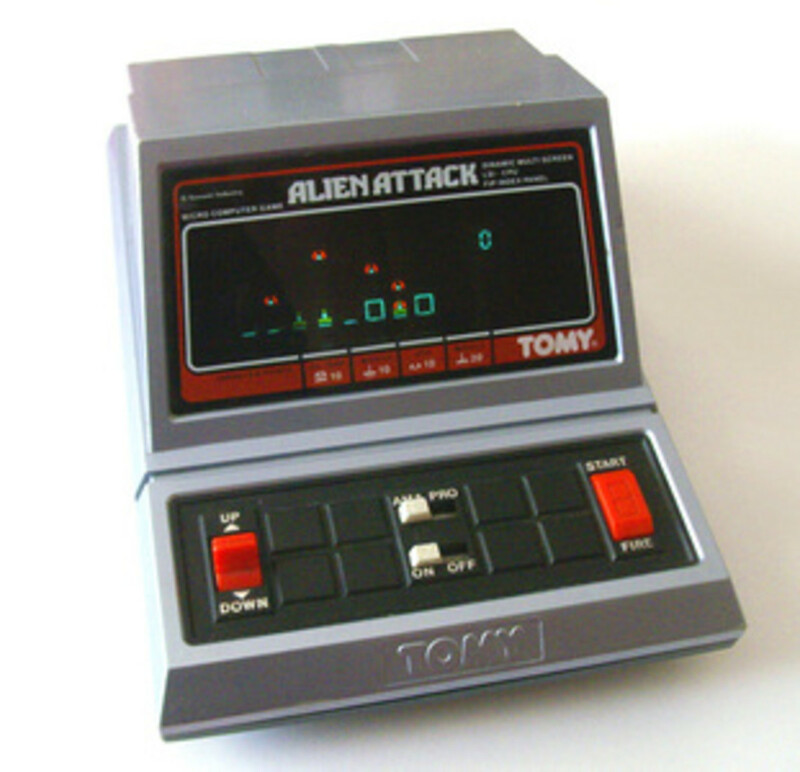 As the decade wore on and 8-bit machines such as the ZX Spectrum, Commodore 16, Commodore 64, Commodore 128, Oric Atmos, Acorn Electron, BBC Micro and Amstrad CPC 464 became more popular the demand for table top electronic games (and hand held electronic games such as Tomy Sky Attack) lessened. 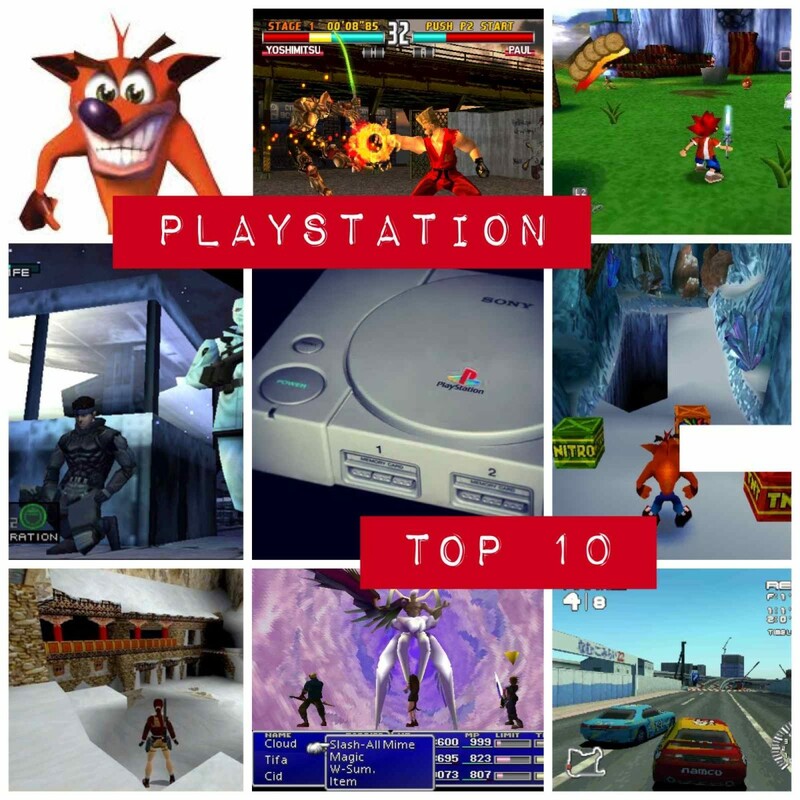 By the mid to late 1980s the genre was pretty much finished as gamers got stuck into the likes of ZX Spectrum Games or yet more advanced Amiga Games where the graphics, sound, gameplay and diversity was a world apart. 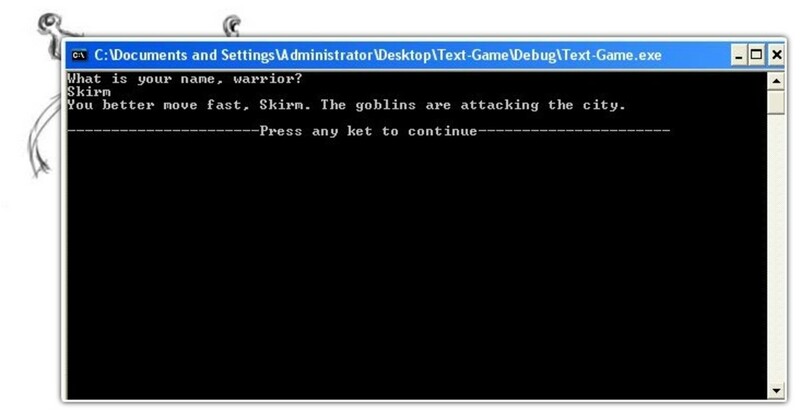 Versions of these older desktop games are becoming popular on mobile and hand-held devices which proves that the legacy that this old technology provided us with still lives on in today's hi-tech market. Still - a good condition and fully boxed Astro Blaster is a true collectors item, and fans of Vintage Classic Toys will no doubt want to own at least one of them. If you like the game Scramble then this version is definitely worth a play. Anyone else play Astro Blaster? Great one guys! I remember this one too. Considering the size that had to work with, I think they were ahead of their time.